You can see Lost in Music's summary of the Lana Del Rey and Radiohead case here. The Air That I Breathe was co-written in 1972 by Albert Hammond and Mike Hazlewood. It was first recorded by Hammond on his solo album It Never Rains In Southern California. The song achieved international recognition two years later when it was recorded by The Hollies, and went to become a top ten hit in many countries, reaching number two in the UK. Hammond went on to co-write several other hits including One Moment In Time for Whitney Houston and Nothing's Gonna Stop Us Now for Starship. Radiohead wrote the song Creep in the late 1980s and recorded it in 1992, releasing it as their debut single, which was a top ten hit in the UK and top 40 in the US. Hammond and Hazlewood noticed the similarity between Creep and The Air That I Breathe and contacted Radiohead's publisher Warner/Chappell Music. "Radiohead agreed that they had actually taken it ... Because they were honest they weren't sued to the point of saying 'we want the whole thing'. So we ended up just getting a little piece of it." The two songs share an unusual chord sequence: C, E, F, F minor. The unusual chord here is the second chord, E - not an unusual chord in itself, but unusual in following C. The reason for this chord's impact is that it contains a note of G#, which is quite alien to the key of C major. It jars against the G natural which is heard in the chord of C major and creates surprise. Generally the melodies of the two songs are independent of each other, but for one eight-bar phrase the melody of Creep appears to imitate the melody of The Air That I Breathe. This occurs at the words "she's running out the door again" in Creep, and can't be coincidence. The melody of the verse of The Air That I Breathe is the same each time it occurs in the three verses, with minor rhythmic alterations to account for the different words. The melody of the five verses of Creep is also broadly the same each time it is heard, and significantly bears no resemblance to the melody of The Air That I Breathe. The chorus of Creep also does not bear any resemblance to The Air That I Breathe. The only melodic similarity between the two pieces occurs in the high falsetto break in Creep, after the second chorus "she's running out again". Here nine notes are identical over a four bar phrase, lasting just nine seconds. 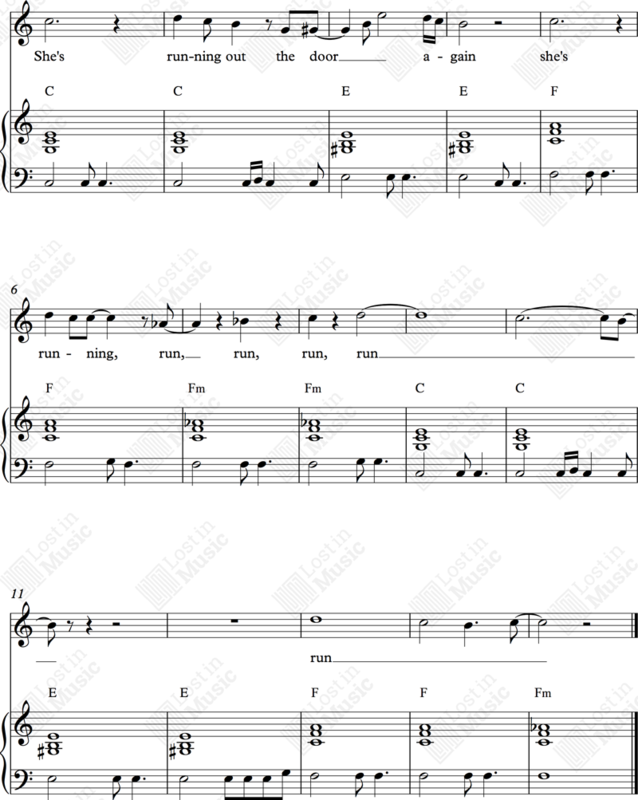 The relevant section can be seen and heard on the Score & Audio tab. 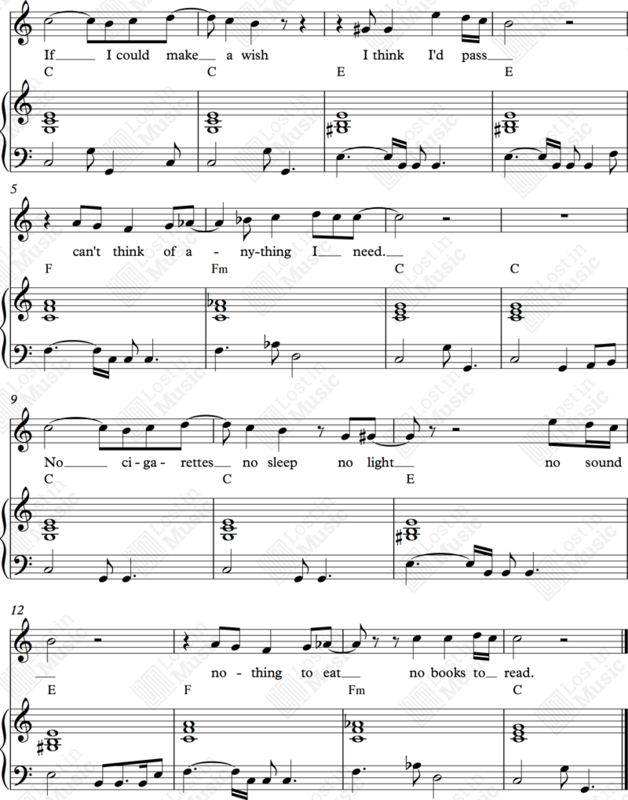 After the first four bars the melodic similarity ends completely. Can this tiny portion of coincidence, less than 4% of the whole song, constitute an infringement of copyright? The songs have different keys. The lyrical content is entirely different. The mood and emotional impact of both is different. The similarity between the two melodies is apparent in the first line of each example below, and particularly in the second, third and fourth bars. (Hammond/Hazlewood) Ⓒ Imagem Songs Limited. Recording by The Hollies ℗ 1974, Polydor Records. (Selway/Yorke/O'Brien/Greenwood/Greenwood) Ⓒ Warner Chappell Music Ltd. Recording by Radiohead ℗ 1992, Parlophone Records. Score transposed here from G major to C major for ease of comparison. Albert Hammond, quoted on his archived web site, said "Radiohead agreed that they had actually taken it ... Because they were honest they weren't sued to the point of saying 'we want the whole thing'. So we ended up just getting a little piece of it." Journalist Ben Wardle, writing for The Guardian in 2012, making a case for allowing similar songs to co-exist.